You can guess pretty fast what this comic is about. 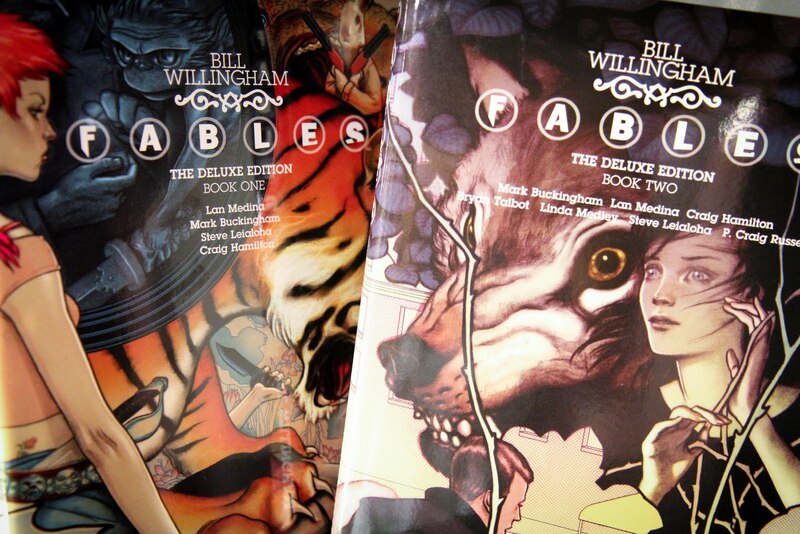 Fables, created by Bill Willingham are amazing stories of various characters from fairy tales like Snow White, Hansel & Gretel or The big bad wolf, to name a few. They call themselves "Fables". After centuries of living in their world, they were invaded by an enemy and had to leave to survive. They eventually took refuge in NY, but sense they don't fit well with the rest of the humans, they created a clandestine community in NY. It really is great to see another side to the characters you grew up with, other stories and references from there past. It all adds up very well, I strongly recommend it.